Setting goals is one of the most important things you can do in order to guarantee success professionally, personally and financially. Your goals are your roadmap so that you can arrive at your target destination. Every single time that you achieve a goal, it is another mile that is closer to where you want to be. Most people who are successful set goals. But are you asking for enough? You could say something like, “I want to be successful in business. I want to have a happy marriage. I want to have a million dollars.” Saying things like these would be like dipping your toe in the pool a success. I want you to stop tiptoeing around the big pool and don’t be afraid to just take a deep breath and jump into the deep end. It is time to start thinking bigger. Start by revisiting your goals, and ask for more than what you truly believe you’ll achieve with them. You should have your list of 101 goals by now. What I would like you to do is to add 10 outrageous goals to your current 101 goals. These goals should be so extraordinary that 10 goals are all you need. I know what you’re thinking, why should you have 10 crazy goals? I want you to set 10 absolutely crazy and outrageous goals to get you into the habit of thinking bigger and to expand your mind in the realm of your reality of what is really possible for you. This is how you step into your greatness. If you start thinking bigger this will expand your world. In other words you will begin to think “outside the box.” What’s even better is if you believe that there is no box! The more that you expand your goals, the more you will do for others. The more you do for others, the more rewards and benefits will come back to you. This is a cycle of giving and receiving that works for the benefit of you and also for everyone around you and the world. A quick tip: I suggest you carry a list of your goals with you everywhere you go. Why should you do this? You will start to meet individuals that will be on your path, who, when you show them your goals, may be able to help you achieve them. If you have already created your list of 101 goals, bring it out and start working with that. If you have not completed this take time now before you do this exercise and finish creating your list of the hundred one goals. If you do not have 101 goals that is okay but have at least 10 for this exercise. As stated above, add 10 new outrageous and crazy goals to your list. As an example of some crazy goals, have a goal for feeding the hungry people in your local community. 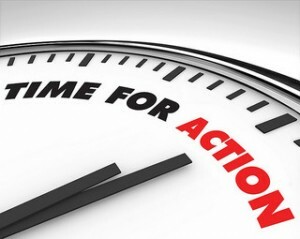 Your action steps may include the collection of canned goods, writing a monthly check to a local soup kitchen, start a food drive for the local food bank, etc. This is a very worthwhile goal. But here’s where this week’s boosting of your goal would come into play. Instead of just feeding your local community and the people that are hungry, why not wipe out hunger nationally or even better yet globally? Boost this goal and this will start your mind expanding and thinking outside of the box towards accomplishing your new goal! In order to achieve this boosted goal, some suggested action steps would be: start to research the hungriest and poorest countries in the world; create a list and contact corporations and food banks in those countries and asked for donations of food and money; then contact some airlines and ground transportation services and ask them to donate their planes and trucks to deliver food to the hungry; etc. etc. etc. Do you see how that can expand your mind and now you are thinking bigger! 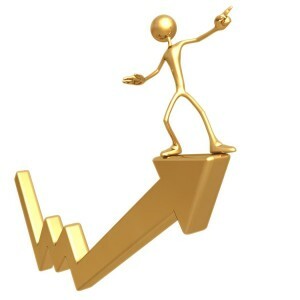 So by boosting your goals you will begin to think bigger and take greater action and get higher and higher results. Achieving your goals will become exciting and providing meaningful life that’s turned on and tuned in at a new awesome higher-level.